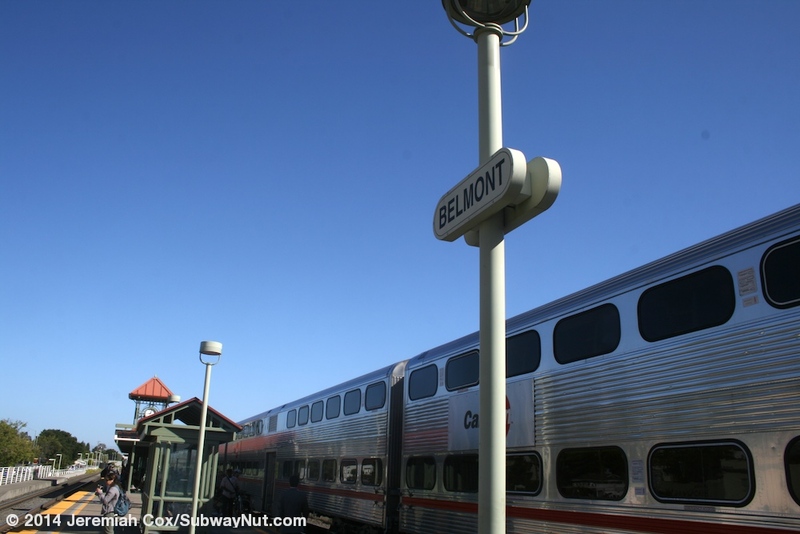 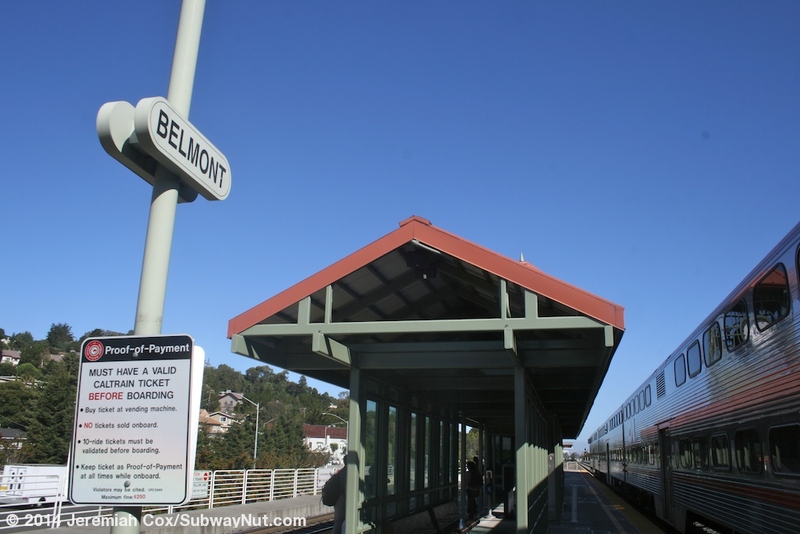 Belmont is a modern Caltrain station, completely rebuilt in 2001 during a grade-separation project that put the trains on a concrete guideway at this station. 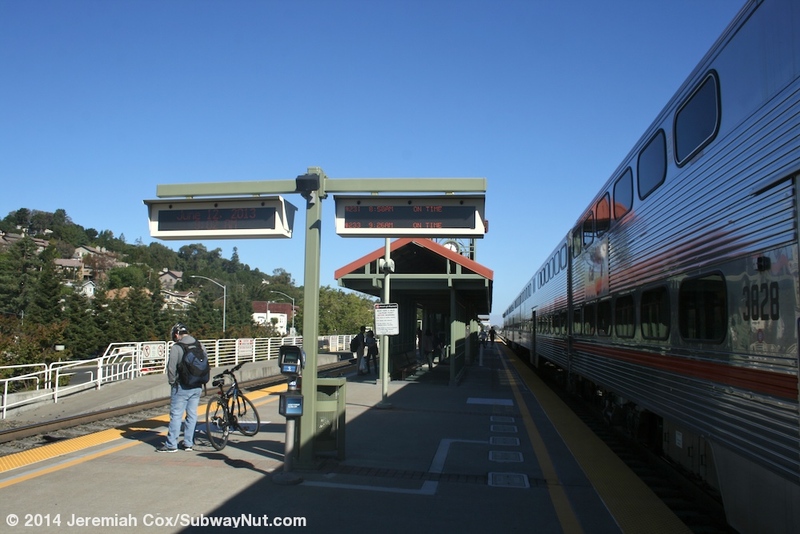 The station receives service quite infrequently, just one train per hour during rush hour. 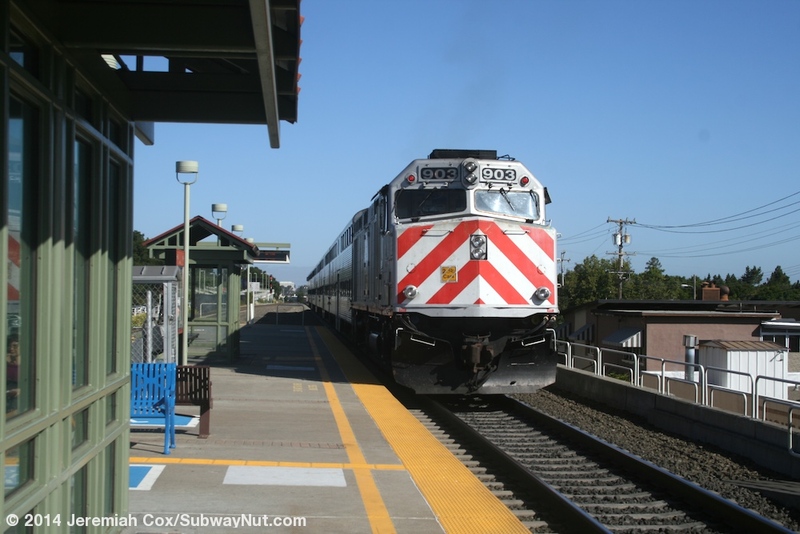 SamTrans runs a shuttle from the station to Hillsdale one stop north during rush hour so riders can have access to more frequent and Baby Bullet Service. 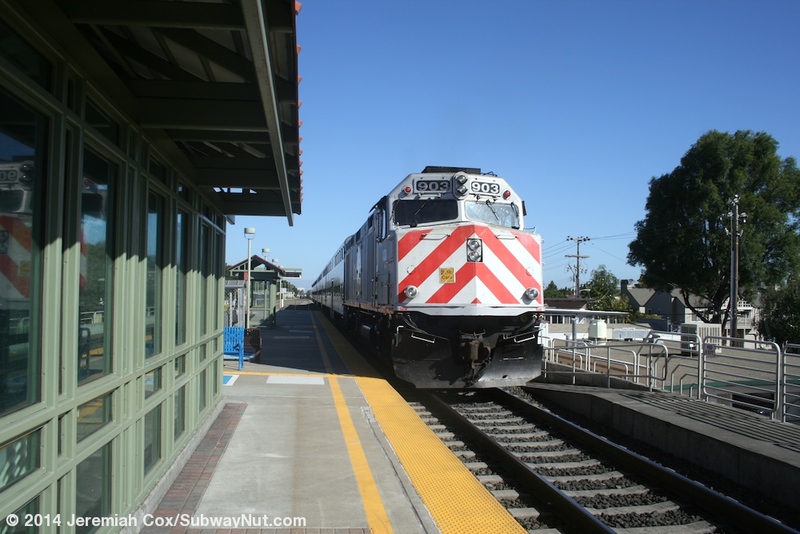 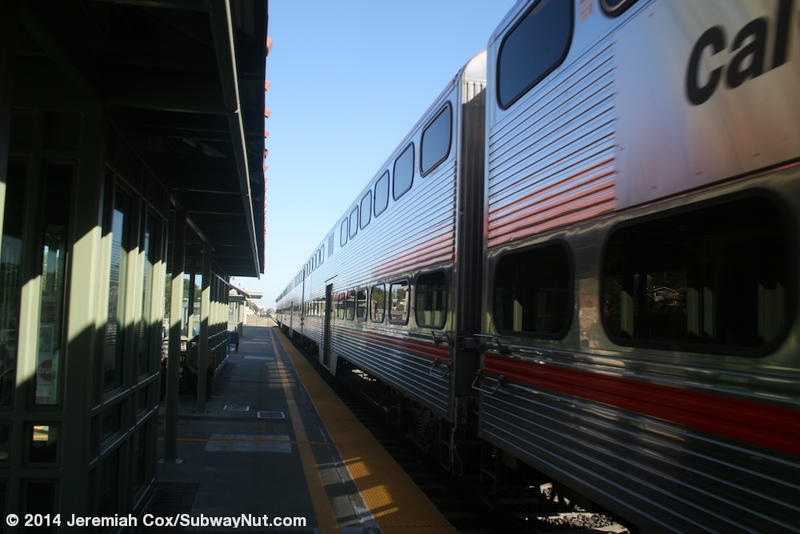 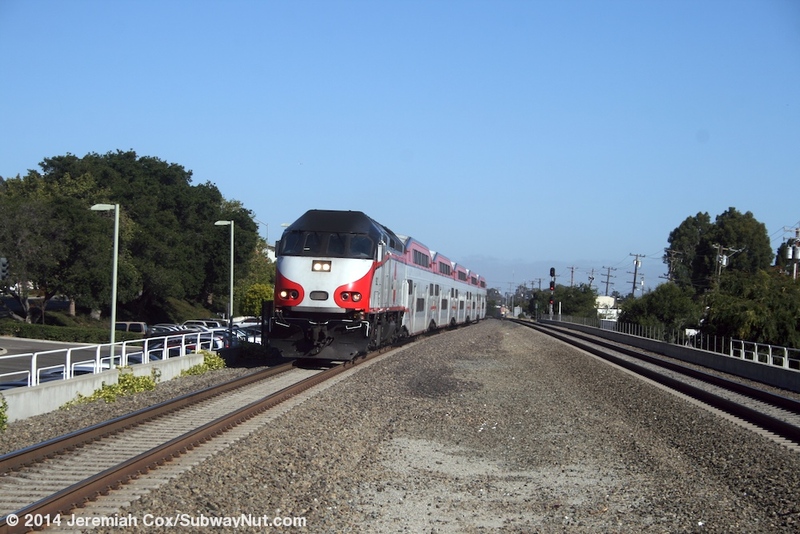 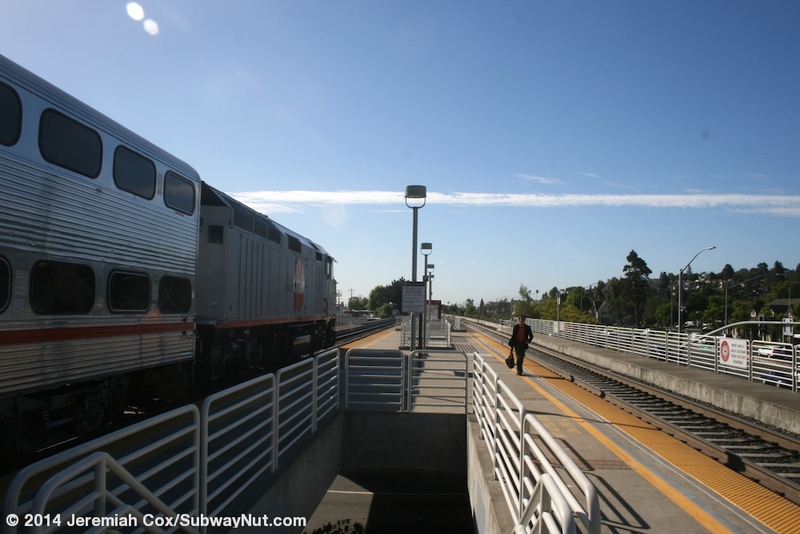 The station is also the only stop north of San Jose on Caltrain with free parking (until December 2013) in a long and narrow lot between the elevated train line and parallel El Camino Real (its nearly a third of a mile from the farthest space to the station). 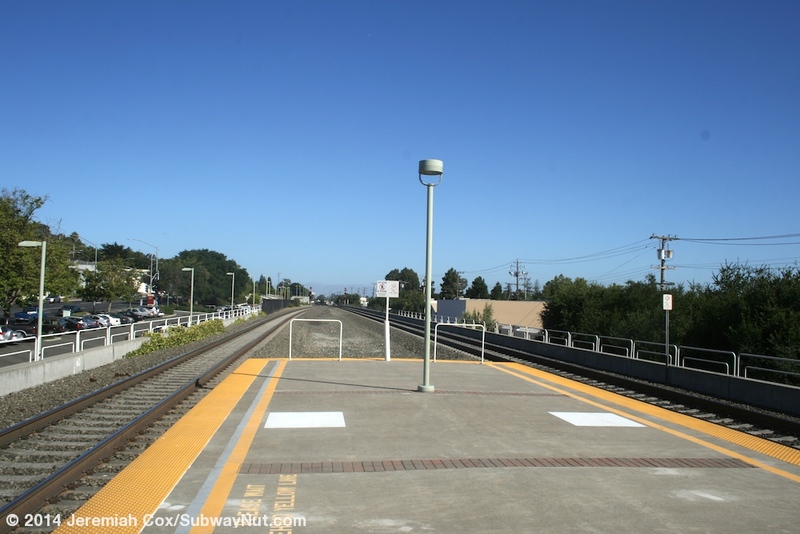 The layout of the modern station has a single island platform. 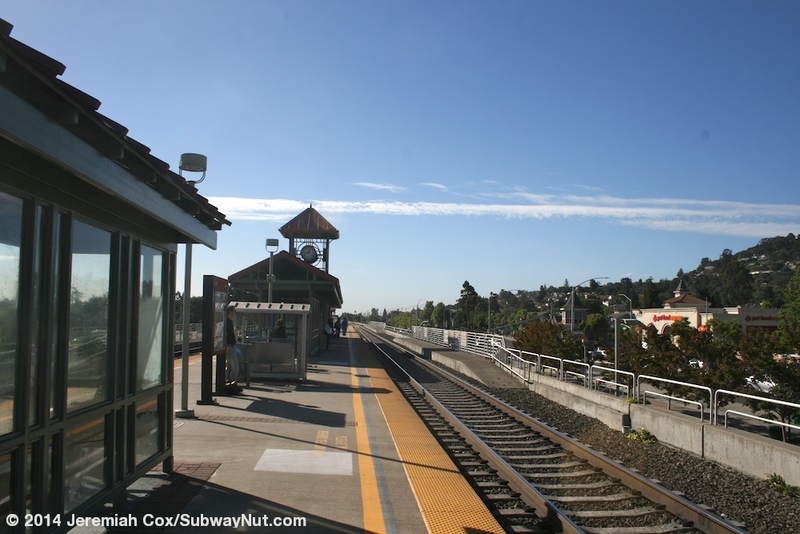 This is the only stop except for Tamien and the San Jose and San Francisco terminuses with an island. 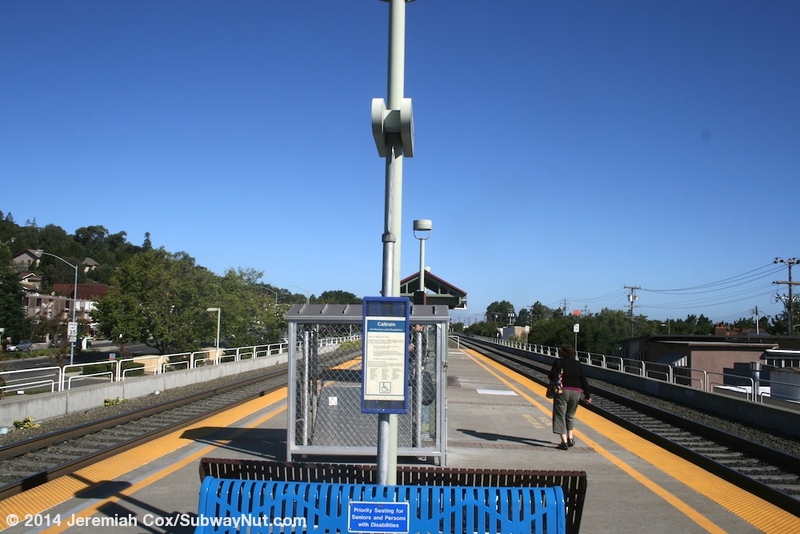 The southern end of the platform is over Ralston Avenue with glass bricks along the platform letting some light down to the street. 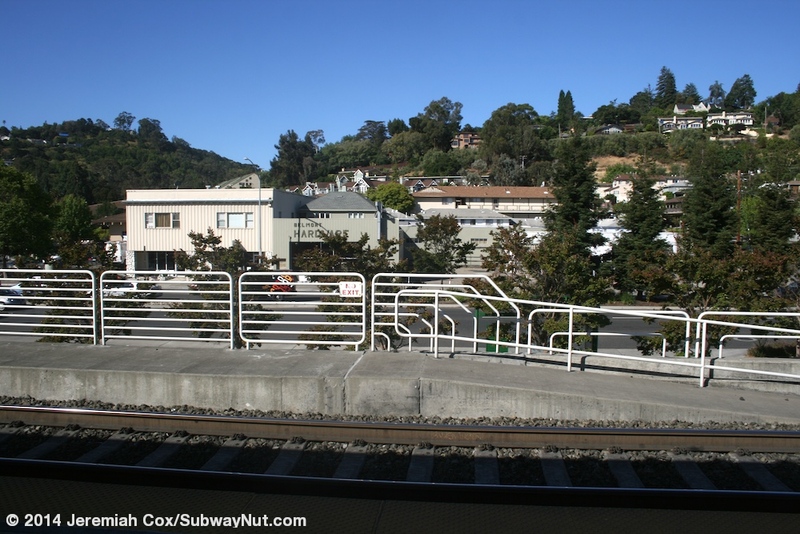 Two exposed staircases lead down to walkways under the tracks one near each side of Ralston Avenue. 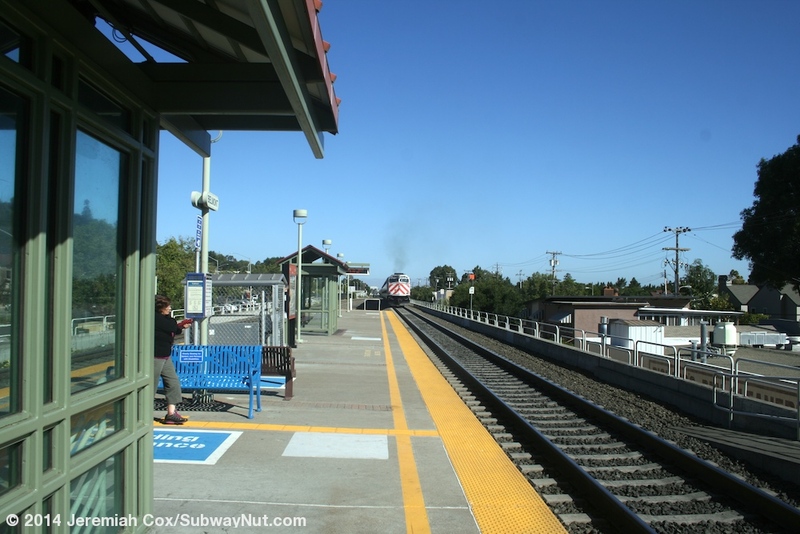 The middle of the platform is where the main station entrance is with a plaza under the tracks. 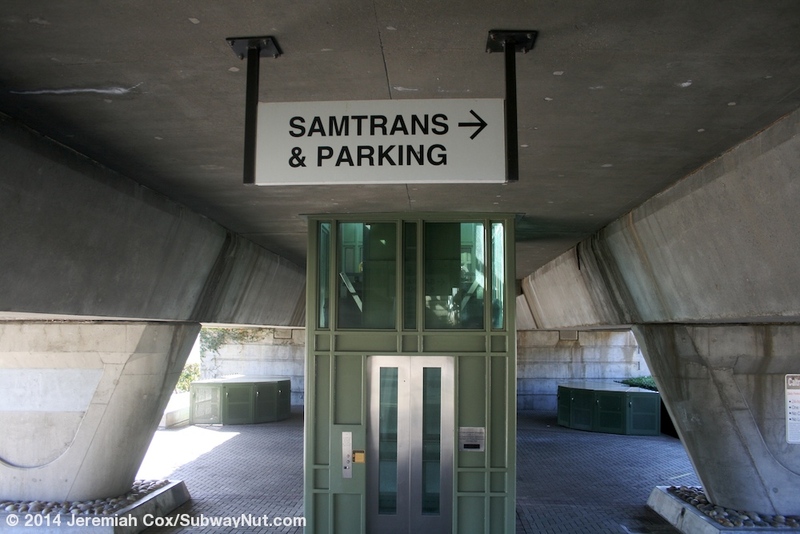 This includes covered bike parking and bike boxes. 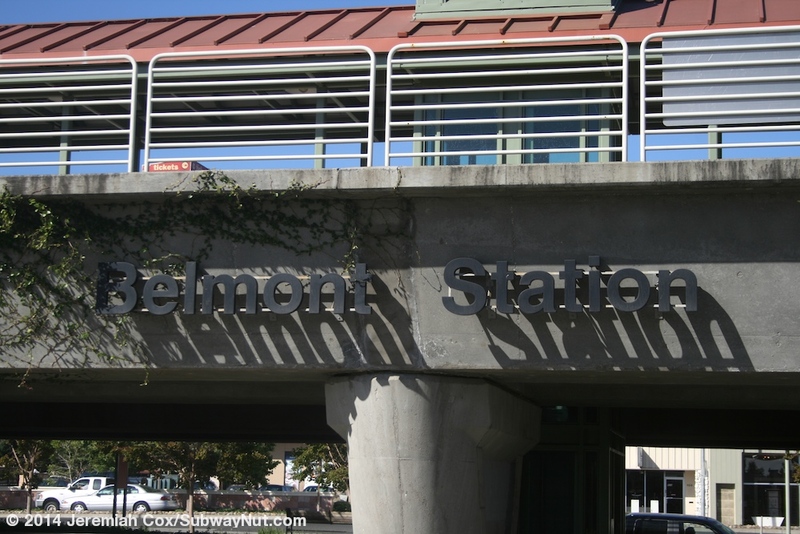 This plaza has black lettering on the sides of the elevated structure saying Belmont. 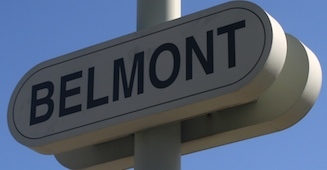 On the west side is a small drop-off loop off of El Camino Real (and sidewalk to the parking lot beyond), the east side leads to a short plaza to Old County Road across from the end of Masonic Way. 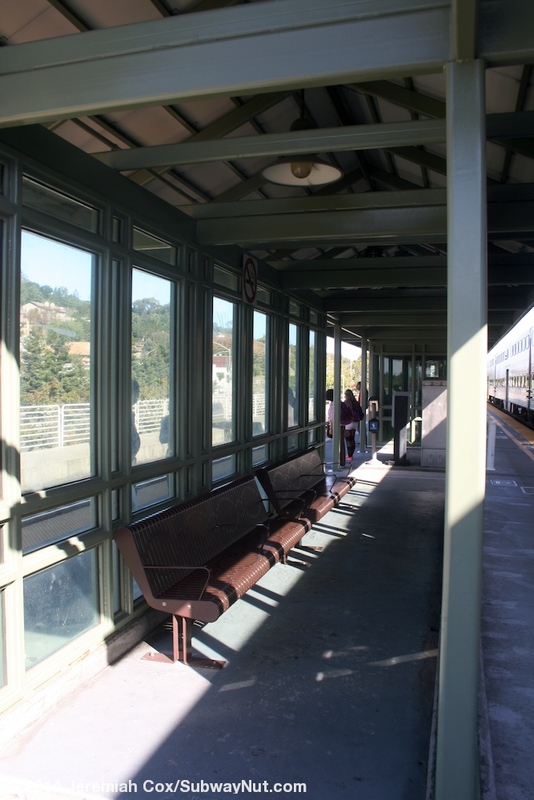 An elevator and two staircases lead up to the platform under the main canopy structure. 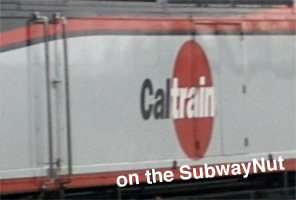 This structure has a red roof and a green structure. 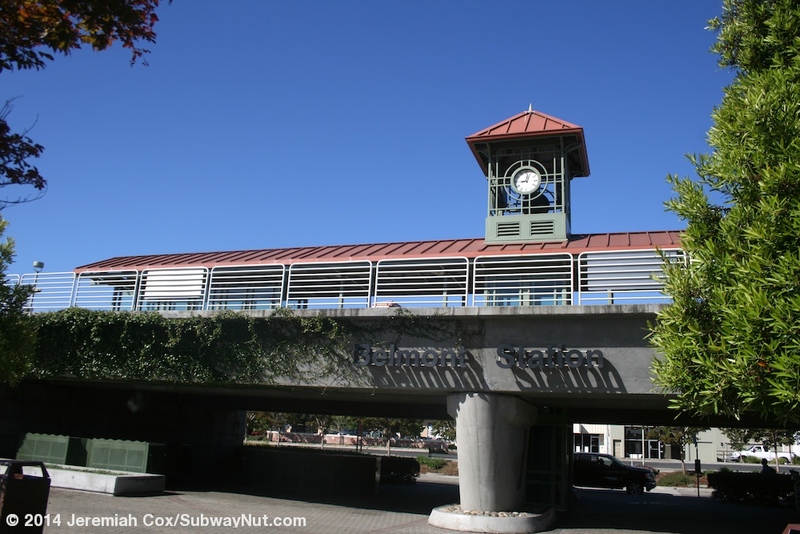 The top of the elevator in the middle of the canopy (that rises above the rest of the canopy) has a clock tower. 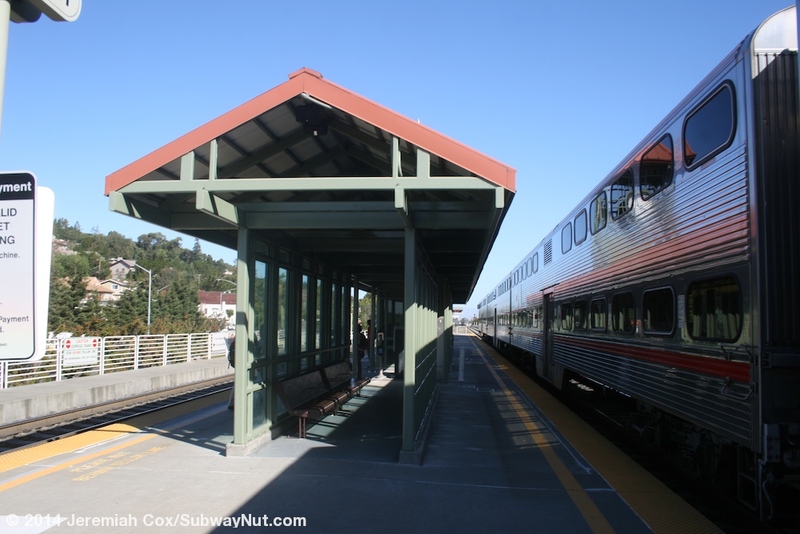 The canopy also covers two long and narrow wind screened waiting areas with benches beneath them. 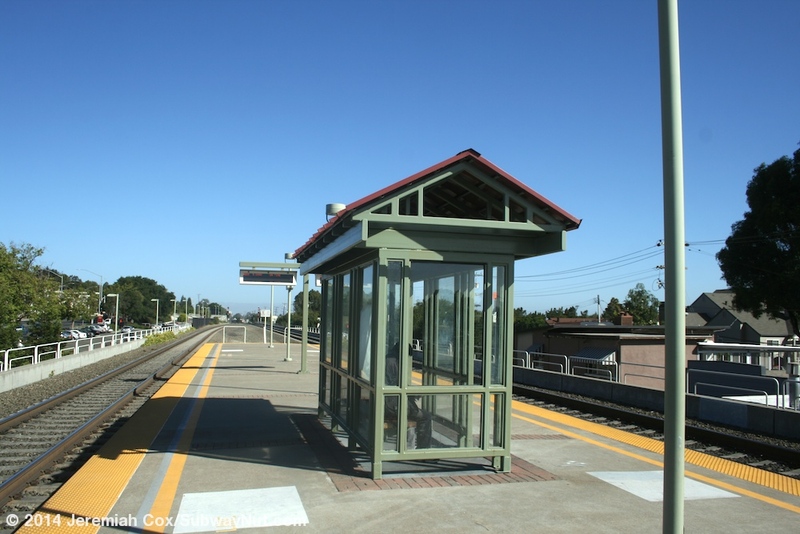 Beyond the ends of the canopy are a couple of smaller bus sized shelters in the same style each with a bench beneath them. 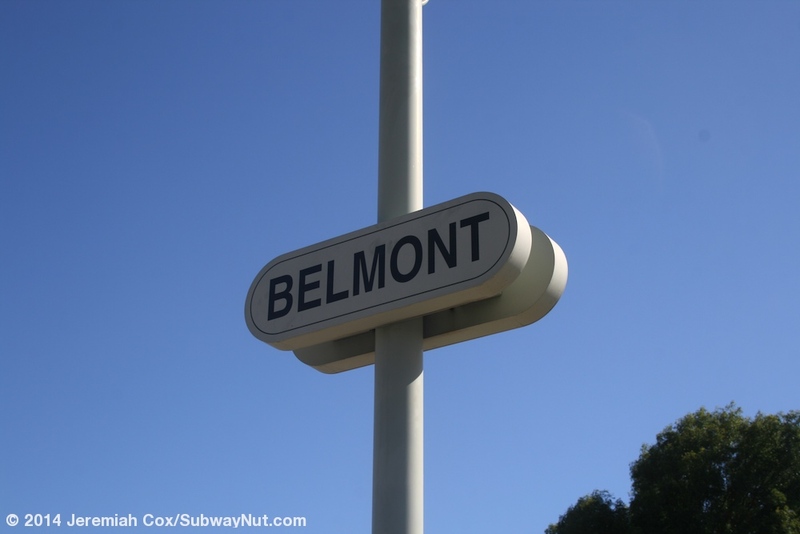 Platform signs are white with black text saying Belmont on modern white lampposts.